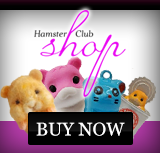 Hamster Club :: Do Hamsters See in Colour? Do Hamsters See in Colour? 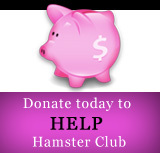 Hamsters have large eyes in compared to their body size. On the other hand their eyesight is very poor. Hamsters can only make out shapes clearly at distances of approximately 1 metre. Hamsters ability to see colours appears to be poor. 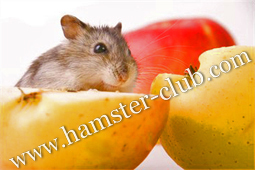 BUT it is interesting to know that hamsters are dichromates and thus HAMSTERS CAN SEE IN SHADES OF GREEN AND YELLOW. This helps them to choose their favourite treats accordingly. Hamsters on the other hand have difficulty in recognising the colour red.